Our goal is to assist in maintaining or improving your overall dental health while beautifying smiles as well. 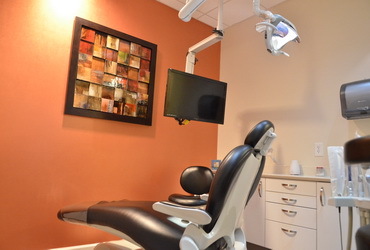 Our experienced and friendly staff take great pride in providing to you a comfortable experience in a secure and safe facility while functioning as your resource and partner in maintaining both your oral and overall health. Our promise to you is that all treatments and services will be customized to your individual needs. Products used are the highest quality and incredibly durable, especially with proper maintenance and care. We welcome you to our office, where WE want to see YOU smiling. View a map of our location and call our office to schedule an appointment today. For your convenience, you can also complete new patient forms in advance and submit them via e-mail to the office. We do ask that forms be submitted at least 2 full days in advance of your scheduled appointment time. Thank you! 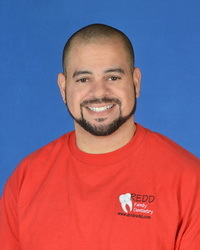 Rodrick has been a highly valued team member with Dr. Redd since August 2003. Rodrick is very versatile serving in multiple capacities for the practice administratively as well as his ability to serve in a clinical capacity as DA II. 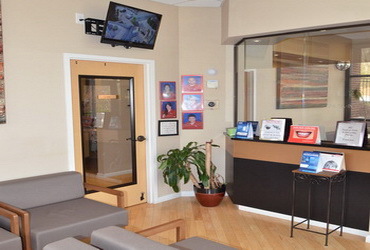 His quiet demeanor and professional courteous manner has facilitated patients for many years in achieving many goals from dental services to working with insurance plans on their behalf. Rodrick has two beautiful children and has been an invaluable asset to his parents. He has a deep passion for racing as well as rebuilding and restoring vintage cars. REDD Family Dentistry is proud to have him to be of service to its many loyal patients. Shelli has been a valued team member joining Team Redd in August 2008. 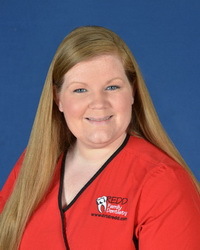 She finished the dental assisting program at GTCC and has been a wonderful addition as a DAII to our team as discovered through her clinical office rotations. Shelli has been Senior Assistant and currently primarily functions as New Patient Facilitator working to acclimate patients smoothly into the practice. She and her loving husband have two beautiful children and are pet parents to two labs and a cat. 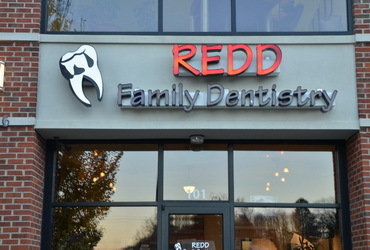 REDD Family Dentistry has a huge asset in Shelli. Laura has been a valued team member since July 2014. She is a 2014 graduate of Forsyth Technical Community College. She currently serves as Senior Dental Hygienist providing product recommendations including the Oral B Test Drive, Glo Whitening information, Water Pik for periodontal home care as well as many others. She informs about oral cancer screening using Identafi tool for early screening particularly for tobacco and nicotine users and early detection of HPV. Laura is the mother to one beautiful daughter and pet parent to a dog, cat and hedgehog. 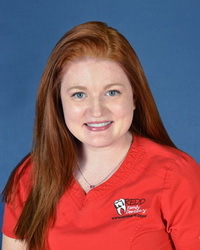 REDD Family Dentistry appreciates Laura as a educational asset with the utmost interest in caring for our patients.